The session IPA brewed with Citra, Simco and Mosaic hops first made its appearance at our launch party on May 26th. But don’t worry if you missed the big day. 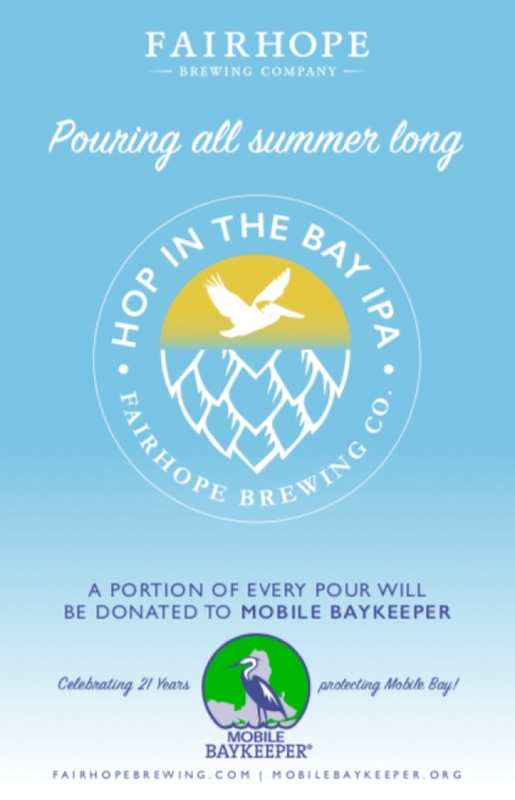 Hop in the Bay IPA is on tap all season long (while supplies last) at the Fairhope Brewing Taproom and bars and restaurants around Mobile Bay including O' Dalys, LODA, Alchemy, and Haberdasher, just to name a few. Proceeds from every beer poured benefit Mobile Baykeeper and their effort to protect and conserve Mobile Bay and surrounding waterways. Drink up! Mobile Bay will thank you.